All the teals! Explore our Teal Pumpkin Product Guide, complete with links to purchase. You can decorate, accessorize, and trick or treat in allergy-friendly style. 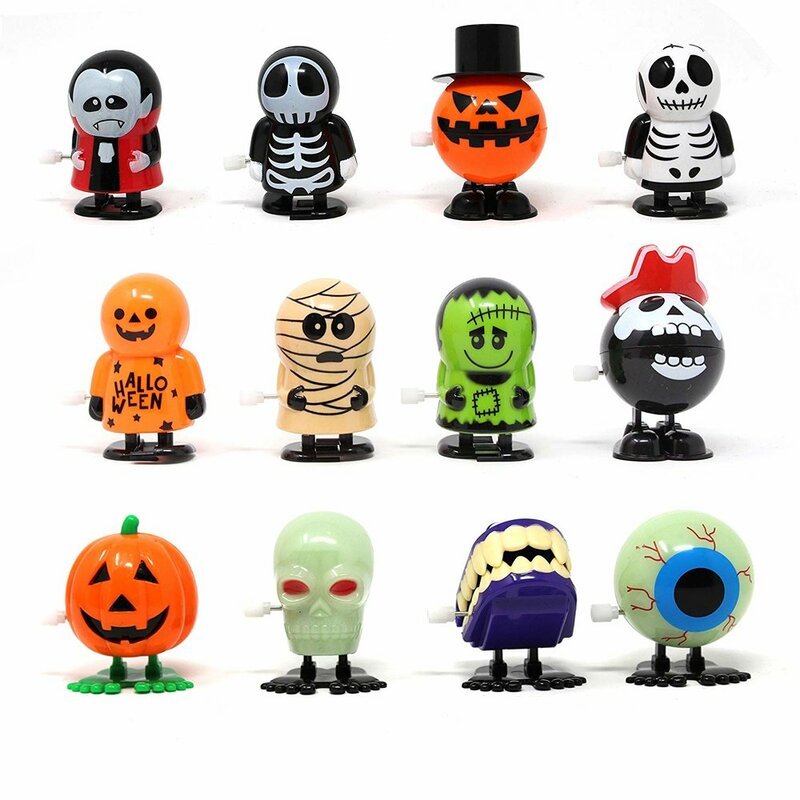 These glow-in-the-dark bouncy balls light up this spooky holiday. Halloween lasts a few days longer with these temporary tattoos. 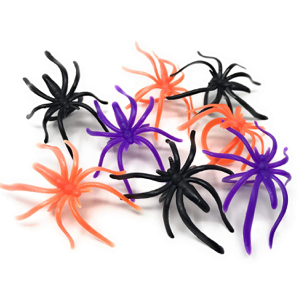 Glow-in-the-dark creepy crawly spider rings. These tiny bubble bottles are the perfect size for your child’s treat bag. Bats, ghosts, pumpkins oh my! Make your mark with these Halloween stamps. Wind these little guys up and watch them go. 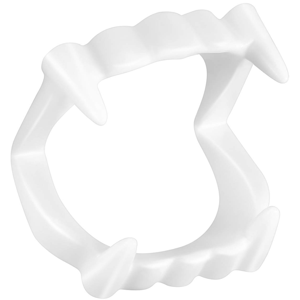 Take a bite out of Halloween with these vampire teeth. Stay spooky and safe all night long with these bendable bracelets. These glow rings are the perfect addition to a basket of allergy-friendly candy. Mold your own monster this Halloween. Please note: play-doh contains wheat. Perfect to play with while you review their candy to see if it is safe. These finger boards will keep the holiday rolling. Something fun and practical to put in your teal pumpkin. This pack offers 100 pieces of assorted toys. Get creative with carvable, foam pumpkins from Target. These come in three sizes, and each has different detailing. Teal Pumpkin has gone mainstream. You can get them at Michael’s, Target, Amazon, and other major retailers. 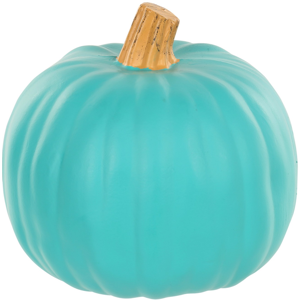 Brighten up your Halloween display with this teal Jack-o-lantern. This insta-worthy teal pumpkin from StoneFawxStudios shares the message beautifully. Have fun decorating your own teal pumpkin with this kit available at Wal-Mart. 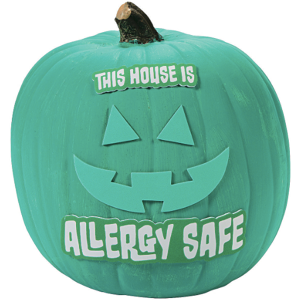 Use this paint to turn any Halloween decoration teal to promote food allergy awareness. 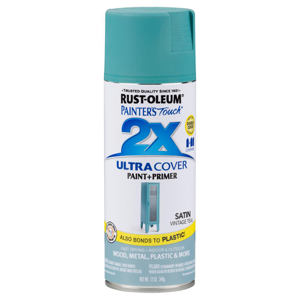 Turn your regular pumpkins teal with this spray paint. This craft kit will let the whole neighborhood know you’re an allergy-friendly household. A portion of the proceeds from these buckets go to FARE. Promote inclusion and take part in the festivities with this handout pail. 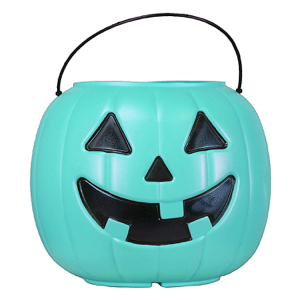 If you’re a fan of the teal pumpkin project, you’ll love this bucket from Allergy Superheroes. Promote an allergy and environmentally friendly world with this tote bag. No one will miss your house with this 35-inch inflatable teal pumpkin from FARE. 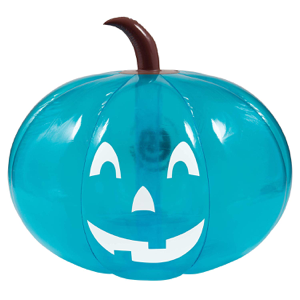 Keep the Teal Pumpkin spirit going after dark with these teal pumpkin flashlight torches. 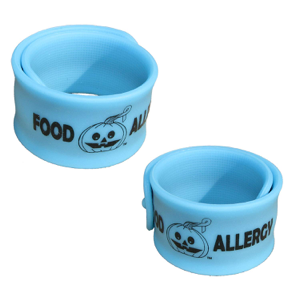 Teal pumpkin glow-in-the-dark “slap” bracelets perfect for tricking after dark. Add a splash of teal to any outfit with these earrings. 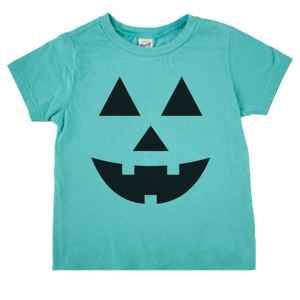 Adult size shirts to support the Teal Pumpkin Project. The shirt for the whole family! Available in sizes from babies to adults in teal and Orange. 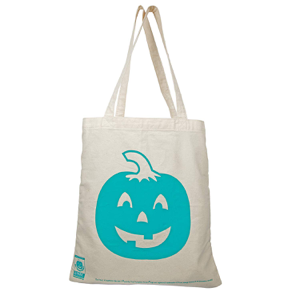 Clean up your lawn and designate yourself an allergy-friendly home with these Teal Pumpkin Leaf Bags. Let the neighborhood know your home is allergy-friendly with this yard flag from FARE.